Here’s an interesting concept for reuse of tires in a positive way. 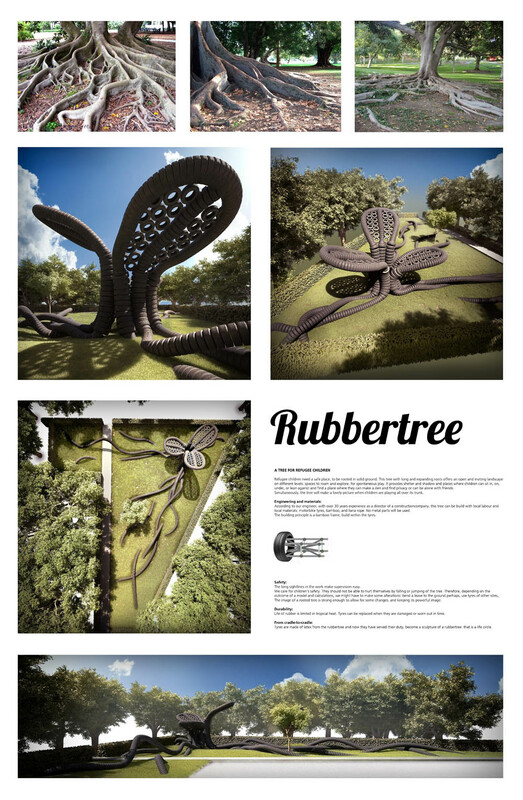 Rubbertree, designed by Dutch designer AnnMarie van Splunter, is a proposal for a school playground for refugee children in Thailand. 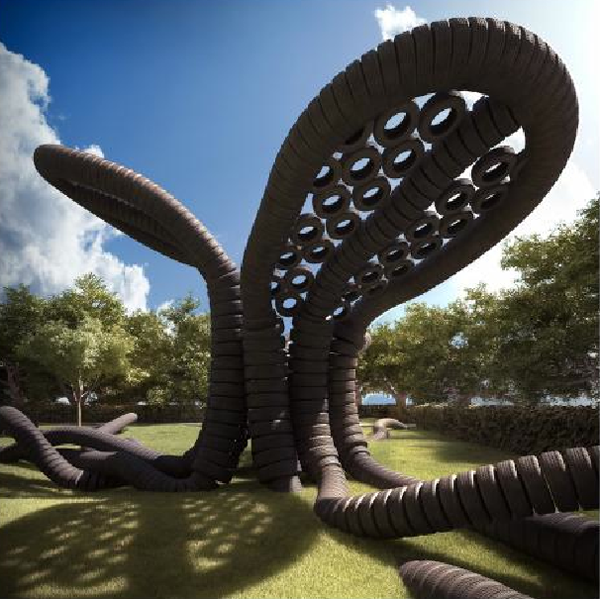 By constructing an oversized sculpture of a rubber tree made of recycled rubber tires, the tires, in a sense, come full circle. It provides shelter and shadow and places where children can sit in, on, under, or lean against and find a place where they can make a den and find privacy or can be alone with friends. This entry was posted in Architecture, Art, Industrial Design, Interaction Design, Stuff We Like. Bookmark the permalink. this is one of the coolest things i have seen whoooo.